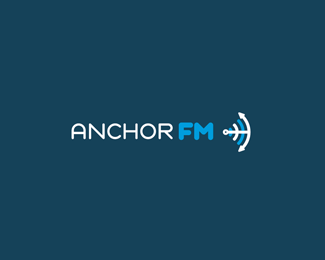 I am really excited by a new app called Anchor which is a free iPhone app that makes it easy to broadcast short audio clips to a global audience in seconds. Your listeners can talk back, sparking instant group conversations that were never before possible. When not recording, listen to authentic humour, knowledge, inspiration, and debate from Anchor’s global collective of personality. The joining up process is the slickest I have ever experienced , it feels like you are getting a one to one personal tuition that takes you through the sort steps of setting up. The first broadcast you make to a global audience is called a #FIRSTWAVE here you simply make a short recording by talking into your phone just how you would normally do. You get a chance to review and accept the recordings. Once I created my first wave I received some welcome messages from other users. I am based in London and I had “welcome Nick” messages from Australia and several people from the USA. I put the app to work by asking a question regarding #socialmedia I then followed others who has made waves or broadcasts about the same subject. People gave advice and i was surprised by the replies. How will brands use Anchor? It seems to me that brands will use the wave feature to undergo research and to gauge opinion. It will also serve as a great tool to help a message go viral. Each message can be shared on Twitter and you can also ask your entire address book to follow you. This powerful combination along with the fact its new and fun will see messages spread globally.